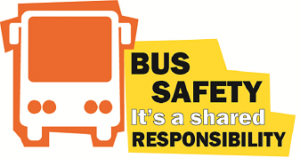 Don’t go faster than 40 km/h within 50 metres of a bus with a school bus warning sign and lights. This includes driving behind or towards a bus. Drive carefully and look out for pedestrians, especially school children.